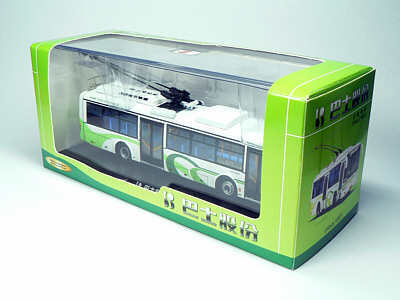 The model - this is another specially commissioned model for the Ba-Shi Group and was not issued as a general release. 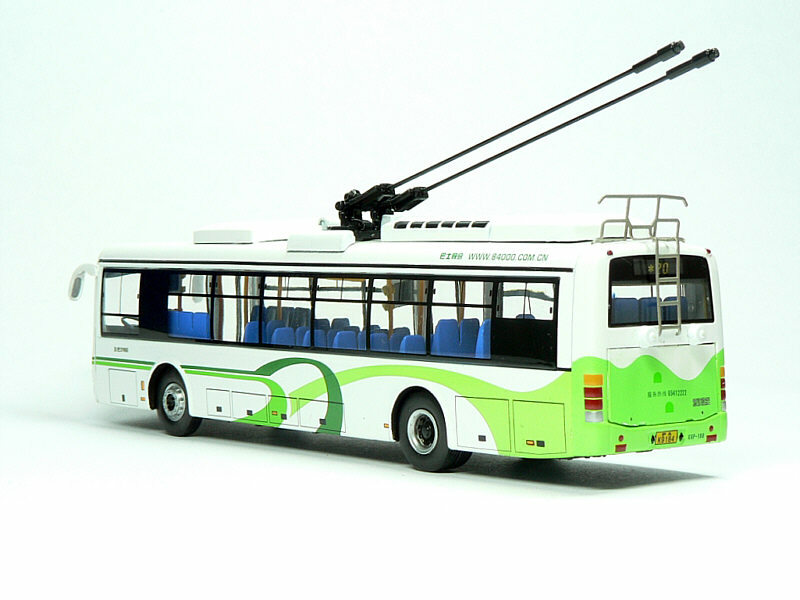 The bus - the Sunwin SWB5115GP-3 trolleybus is a joint venture between Shanghai Sunwin Bus Corporation, Shanghai Ba-Shi (Group) and Shanghai Trolleybuses Company. 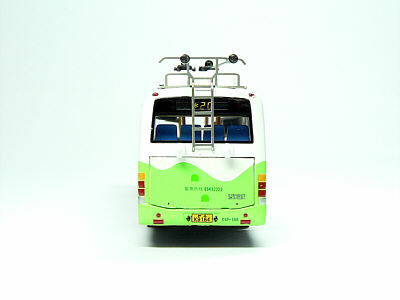 It was unveiled in November 2003. "Ba-shi Trolley Bus Company is the only company in Shanghai that has a history of over hundred years. 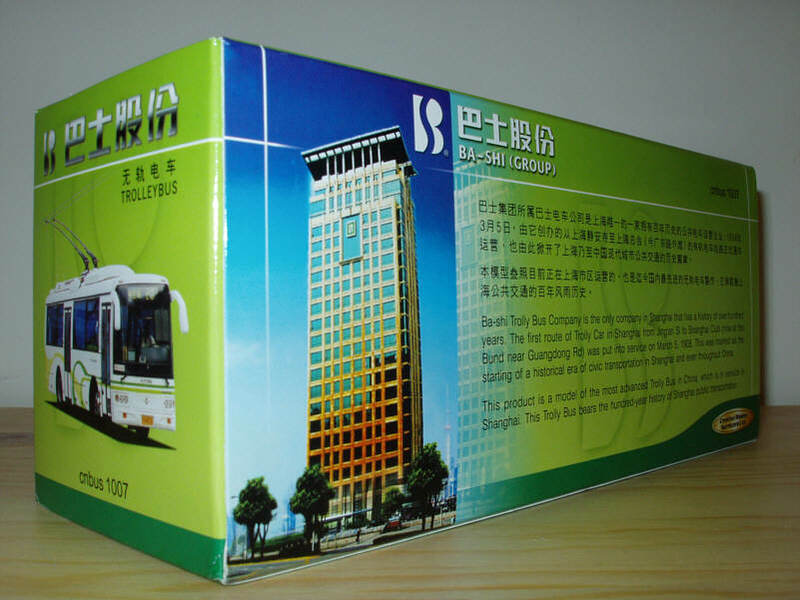 The first route of Trolley car in Shanghai from Jingan Si to Shanghai Club (now at Bund near Guangdong Rd) was put into service on March 5, 1908. 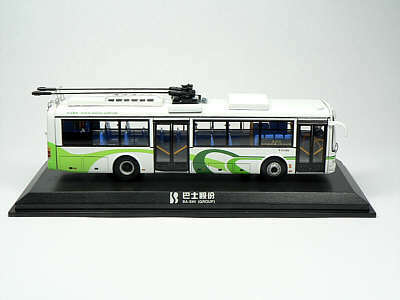 This was marked as the starting of an historical era of civic transportation in Shanghai and even throughout China. 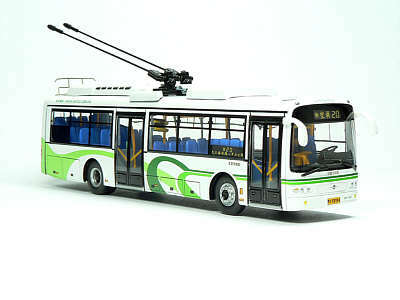 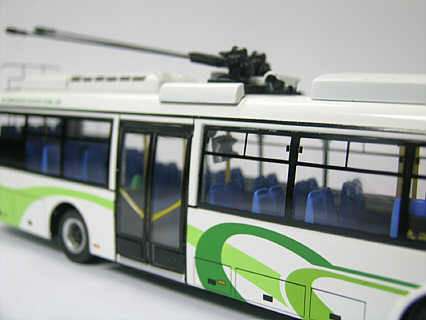 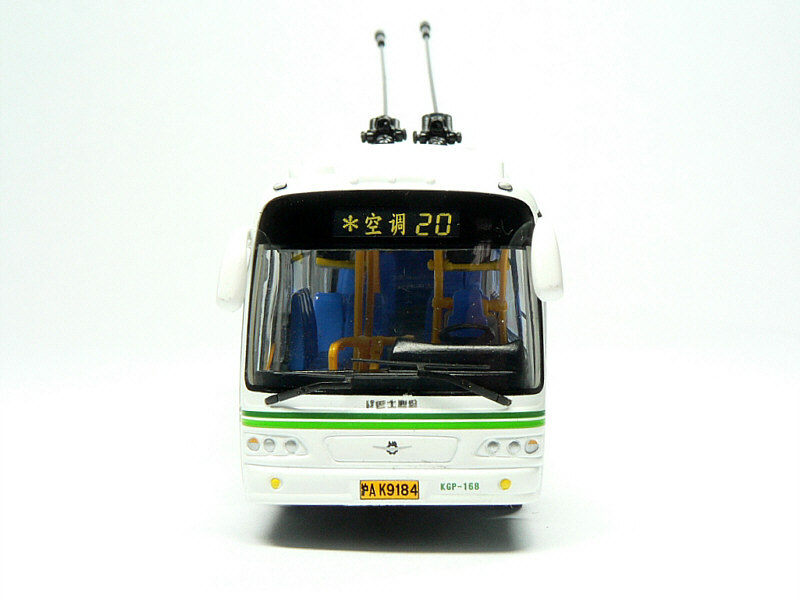 This product is a model of the most advanced Trolley Bus in China, which is in service in Shanghai. This Trolley Bus bears the hundred-year history of Shanghai public transportation."